"The lease is expiring on one of our locations in Syracuse and we are consolidating some work that had been done there into a larger company facility in Orange Park, Florida, to increase efficiency and make the most effective use of our facilities," Richter told the Washington Free Beacon via email. Dynasty Financial Partners announced it is moving its headquarters to St. Petersburg, Fla., by the second quarter of this year. Its president and CEO cited the company's search for "an ideal location that provided economic leverage", "high quality of life" and "robust infrastructure." "I want all the jobs," the Florida Republican and former governor said when asked about Amazon's reversal of its decision to locate in New York City. "In my eight years, we added 1.7 million jobs. The tax structure up here doesn't make any sense, what New York has done, what Connecticut has done." "I send thank you notes, thank you Gov. Cuomo, raise more taxes and more people are moving," Scott said. Scott's office did not respond to a request for comment. It's unclear whether he or state officials are currently in talks with other New York companies who are considering moving to the Sunshine State. Two businesses that have decided to stay in the state will be given grants and tax credits for their commitment, Cuomo's office said this week. Cuomo announced a female-owned catering food service company will be staying in New York, moving to the Bronx from New York City. Great Performance was given an $880,000 grant and will create 181 new jobs. AML RightSource will be receiving $1.2 million in job tax credits to stay and expand in Buffalo. AMLRS is required to create over 100 new jobs over five years in return for the tax credits, Cuomo's office said. According to a new Quinnipiac poll New York also faces a potential exodus of its residents. 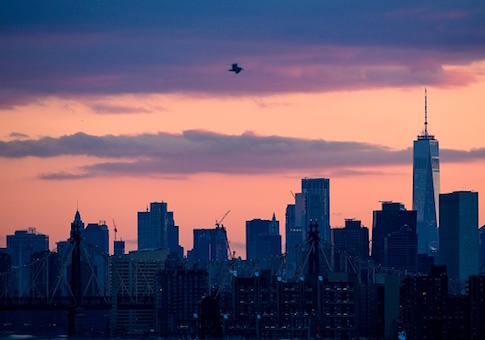 A third of New Yorkers indicated they will leave as they cannot afford to live there, and 35 percent say they "will be forced to move in the next five years for better economic opportunity." This entry was posted in Issues and tagged New York, New York City. Bookmark the permalink.